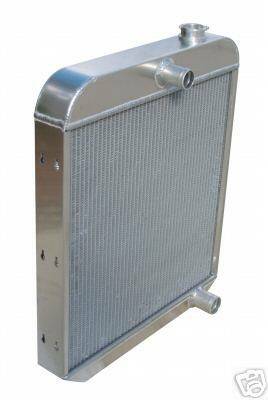 PRC manufactures the nicest aluminum radiators you can buy and they are made right here in the United States! 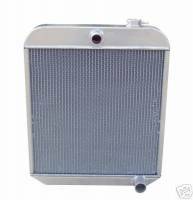 This is a 1955 through 1959 Chevy truck radiator with cap for use with a small or big block Chevrolet engine. 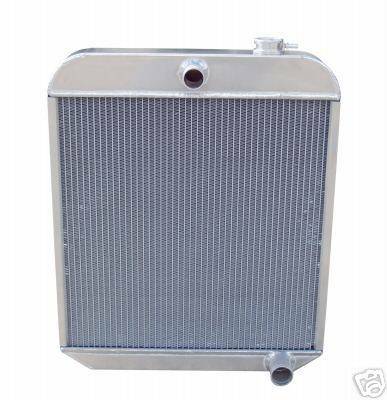 PRC radiators are all aluminum and do not use epoxy in their construction. Aluminum tanks can be easily polished for a show-car finish. Top hose outlet measures 1-1/2" o.d., lower hose outlet measures 1-3/4" o.d. PRC uses furnace-brazed cores constructed of 2 rows of 1” tubes which will give you the unmatched cooling that PRC is known for. PRC’s unique universal mounting brackets makes for a wide range of adjustments and easy installation. Required mounting brackets with stainless steel hardware are included. 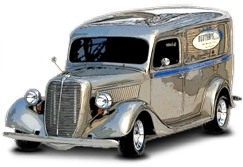 Performance Rod & Custom specializes in providing cooling systems to help your car run cool in extreme conditions. In addition to superior craftsmanship, PRC uses the highest quality materials to ensure you get the product you deserve. SHIPPING: Normal shipping is 2 to 3 weeks, but shipping turn-around time can change during peak seasons. If timing is critical, please call to confirm. Email or Call (704) 462-1051 with questions.